Perfect for giving copies to friends and family. Perfect for ministries that want to stock up on Dr. Lake’s newest book! In The Shinar Directive, we journeyed down the Luciferian rabbit hole to discover the matrix of darkness that has engulfed our planet. It would seem that esoteric societies have nearly fulfilled Nimrod’s dark directive. However, the Almighty will not allow the enemy to bring his “A” team for the final showdown without responding with His own. God is raising up people around the world that are shaking off their techno-sorcery induced, spiritual slumber and are answering Heaven’s call. There is an end-time empowerment coming for God’s Remnant — His Sheeriyth. Hell may have its directive, but Heaven has its imperative! Michael holds doctorates in theology and religious education, and he is the chancellor and founder of Biblical Life College and Seminary. In 1995, Dr. Lake and his family found themselves in the crosshairs of an all-out attack from the occult community. During the spiritual conflict that lasted for over a decade, he turned his research skills toward understanding the occult, their hidden governance of the nations, their tactics for manipulating and controlling the Church, the reality of mind control, and The Shinar Directive. More importantly, he discovered ancient Hebraic wisdom in the Word of God that can be utilized to discover and neutralize the occultists’ tacit influence in the lives of believers today. 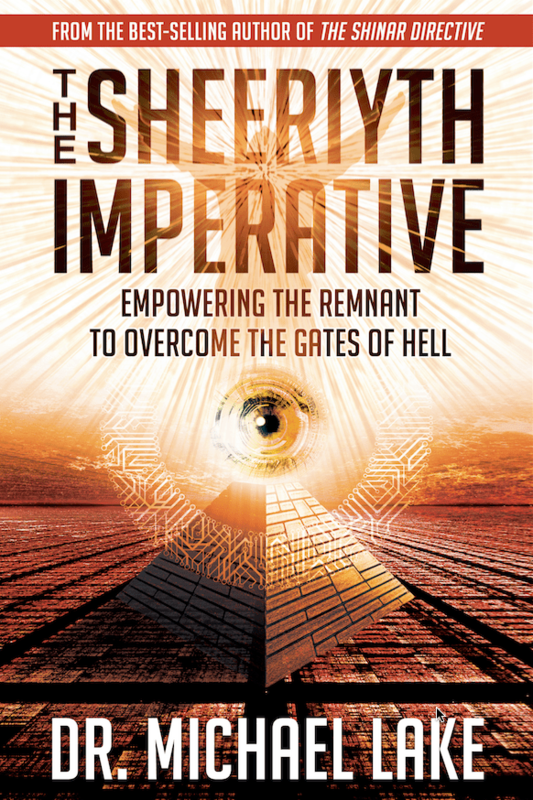 The Sheeriyth Imperative is the first step in empowering the Remnant to derail Hell’s plans in our generation.